CHIEF MOBOLAJI OLUKAYODE AYORINDE (SAN) was born into the Ayorinde family of Ajimajasan Compound, Agbokojo Ibadan. His father was the Honourable Justice Timothy Adebayo Ayorinde, Former Chief Judge of Oyo State and Former Chancellor Diocese Ibadan, Church of Nigeria, Anglican Communion, while his mother is Chief Mrs Christiana Adetokunbo Ayorinde. He attended Sacred Heart Private School, Ring-Road, Ibadan for his Primary School Education from where he then proceeded to the famous Government College, Ibadan in 1974 and obtained his W. A. S. C. E. Ordinary Level Certificate. He also attended the International School, University of Ibadan, Oyo State in 1979 and obtained his G. C. E. Advanced Level Certificate, International Baccalaureate, A Levels Certificate in 1981. At International School he was made the Head Boy, that is, the Senior Project of the School in 1980-1981. In September 1981, he proceeded to the University College Buckland, Oxfordshire England, United Kingdom for his university education where he obtained the University of Oxford, G. C. E Certificate [Law] Intermediate LLB) in 1983. He thereafter, in 1983 attended the prestigious Holborn Law Tutors, Roupell Street, London for his University of London, Bachelor of Laws LLB Hons Degree Certificate and graduated in 1985. He proceeded to the Nigerian Law School, Victoria Island, Lagos in 1985, where he obtained the Council of Legal Education Certificate of Call to Bar in 1986. [BL Honours]. For his National Youth Service Programme in 1986, he was Posted to Lagos State and attached to the Private Law Firm of Messrs Akin-Delano, Legal Practitioners at No. 6, Ijora Causeway – Lagos .During this period he was a Junior Counsel in the Firm of Akin-Delano, Legal Practitioners with Offices in Ibadan and Lagos. He worked directly under the Principal, Chief Akin – Delano S. A. N. and in 1989, he was seconded to take charge of the Lagos Office. The Firm is renowned for its Commercial Practice spanning for a period of over 40 years. He worked in the firm of Akin – Delano until 1990 when he set up the Law Firm of B. AYORINDE & CO with offices in Lagos and Ibadan and now Abuja in the Federal Capital Territory and Port-Harcourt. He was appointed Notary Public for Nigeria on the 25th of November, 1994 under the Notaries Public Act Cap 331 by Honourable Justice Mohammed Bello G. C. O. N. former Chief Justice of Nigeria. In 2005 he was elevated to the prestigious rank of SENIOR ADVOCATE of NIGERIA (SAN) on 26th September, 2005. In 2007 he was appointed Pro-Chancellor, Chairman Governing Council Ladoke Akintola University of Technology, Ogbomoso, Oyo State of Nigeria where he served for the statutory 4 years until 2011. He was also the Chairman of the Oyo State Committee on the Decongestion of Prisons. His areas of law practice include: General Civil Litigation, Commercial litigation, Company Law, Family Law, Property and Land Law, Banking, Insurance & Liquidation law, Arbitration, Maritime and Shipping Law, Public Advocacy and Parliamentary Counseling Services. He is the author of various publications amongst which include: “Securing and Enforcing Maritime Claims: Juriscope 1st Edition-2001 Series”, “Wills and Testamentary Disposition”, “Sovereign Immunity and the Trials of Augosto Pinochet”, “Judicial Precedent, Law Reporting and the Need for Regulation”, “Judicial Bias and Justice Delivery”, A Commentary on the Independence of Electoral Umpire in Nigeria”, “Boko Haram, Terrorism and Fundamental Human Rights; the Challenges that concern us”, “Criminal Justice System in Nigeria”, “53, Years after Independence: the many facaes of Judicial Riot”, “Nigerian-Any Strength in Adversity”, “A Reformatory Approach to the Criminal Justice System in Nigeria”, and “The Rashidi Yekini Case and the State of Mental Health Law in Nigeria” . He is a Member of the Nigerian Bar Association (N.B.A), International Bar Association [IBA], Nigeria-British Chamber of Commerce, Nigerian-Belgian Commercial Information and Documentation Centre and Commonwealth Lawyers Association. He has been a Council Member, Section on Public and Development Law, (SPIDEL) of the N.B.A., Chairman Finance Committee, Nigerian Bar Association, Ikeja Branch and he is an active member of the Body of Senior Advocates of Nigeria. He was also a member of the Constitution Drafting Committee, Diocese of Lagos West at the inception of the Diocese. He is also a member of various church societies amongst which are the Christian Unity Band of Nigeria of All Saints, Anglican Church Ikosi – Ketu, Lagos, Youth Christian Society of the Cathedral of St. James The Great, Oke Bola, Ibadan, Ogunpa Descendants Union of the Cathedral of St James The Great, Okebola Ibadan, Fountain of Hope Society, African Church Cathedral Bethel, Lagos and Hon-Member Christian Guild, African Church Cathedral Bethel, Lagos. He is a Patron of the Men’s Friendly Society and Young Women Christian Association of All Saints Anglican Church, Ikosi-Ketu, Lagos and he is also Patron of the Lady Workers League of the Cathedral of St. James The Great, Okebola, Ibadan. Chief Bolaji Ayorinde SAN is also a member of several socio-cultural organizations, clubs and societies including Omo Ajorosun Club, Ibadan, Ibadan Golf Club, Ibadan, Ikoyi Club 1938 Lagos, the Prestigious, Metropolitan Club, 1959, Lagos, The Lagos Lawn Tennis Club, Lagos and the Island Club, Lagos. He is the holder of the Ghana 2006/2007 outstanding African Nations Builders Gold Award, Society of Security Practitioners of Nigeria Award 2005/2007, Augustine Nnamani Chambers, Faculty of Law, University of Ibadan Distinguished Personality Award 2008, LAUTECH Alumni Award for Excellence in leadership and Administration 2007, Federation of Oyo State Students Union Platinum Award of Excellent Leadership Award 2008 and the 2010 Award for Professional Excellence by the Central Council for Ibadan Indigenes (CCII). He has attended and participated in as facilitator or presenter at several international and local law conferences and seminars. In November 2011, Chief Bolaji Ayorinde SAN was appointed by President Goodluck Jonathan as a Member of the Presidential Advisory Committee on the Prerogative of Mercy (PACPM). 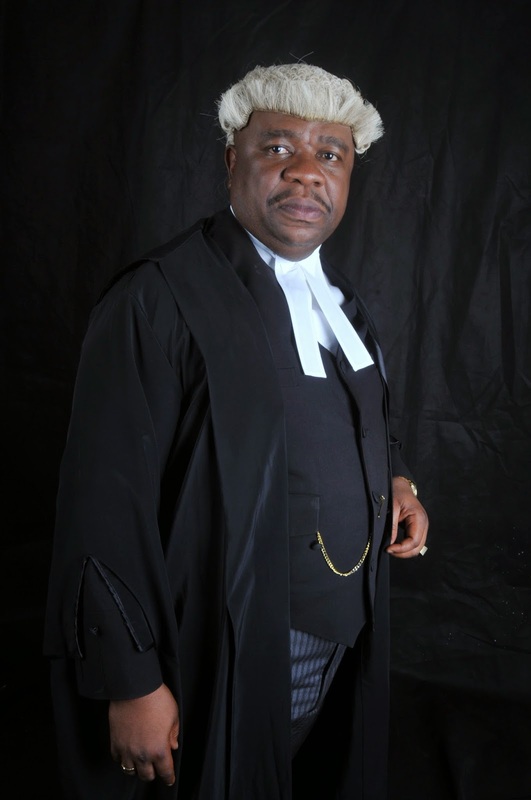 In June 2012, he was appointed Chairman of the Governing Board of the Legal Aid Council of Nigeria by the President.